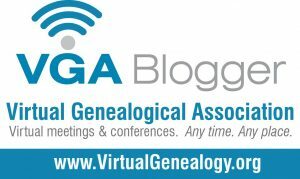 eGGSA is the acronym for the virtual branch of the Genealogical Society of South Africa. According to their website the ‘Genealogical Society of South Africa (GSSA) is an international organization of people engaged in the study of genealogy, family trees and family history with a South African connection’. From the first small colony established by the Dutch East India Company in 1652 in what is now Cape Town to the British government settler schemes of the 1820s, to the men seeking their fortunes on the diamond and gold fields in the 1860s – settlers, soldiers and missionaries flocked to what is now South Africa. Records were created as they lived their lives. eGGSA has an incredibly rich variety of records on their site, including transcripts and databases (1820 Settler correspondence, newspaper extracts, passenger lists, church and burial records); photographic collections of gravestones (now containing over 700 000 gravestone photographs), family bibles and postcards, and an incredibly useful page of links to other websites which may help with research in South Africa. Almost all the records on the site are freely available. Membership does offer the perks of receiving eGGSA’s quarterly publication, Genesis. Members also receive FAMILIA, the quarterly journal of the parent body, the Genealogical Society of South Africa and are eligible for a reduced rate when ordering documents from the South African Archives at Pretoria, Bloemfontein, Pietermaritzburg and Durban. If you have ancestors with connections to South Africa this is an excellent resource to start your research with. No worries Gail! It was actually a bit obscure so I added another link further down.